Are you looking for a scar treatment that works? Encourage your body’s natural healing ability to reduce the look of scars and stretch marks. The unique centuries-old formula of Sarada Ayurvedic Remedies Ayurvedic Herbal Scar Healing Oil helps to boost tissue regeneration. Massage into collagen fibrous tissue (scar tissue) and the mix of more than 88 wildcrafted herbs and essential oils will break it down to reveal softer, smooth skin. It also works great on stretch marks. 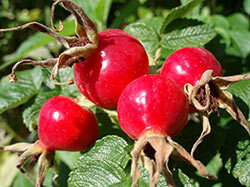 Ingredients such as Organic Rosehip Seed Oil has been proven an effective treatment for scars. It contains essential fatty acids and Vitamin E to promote elasticity and skin regeneration. Other ingredients have been chosen for their anti-inflammatory, skin regenerating and anti-ageing qualities. Massage the Ayurvedic Herbal Scar Healing Oil into your skin 2 to 3 times a day to break down scar tissue and build new, smooth, healthy and beautiful skin.